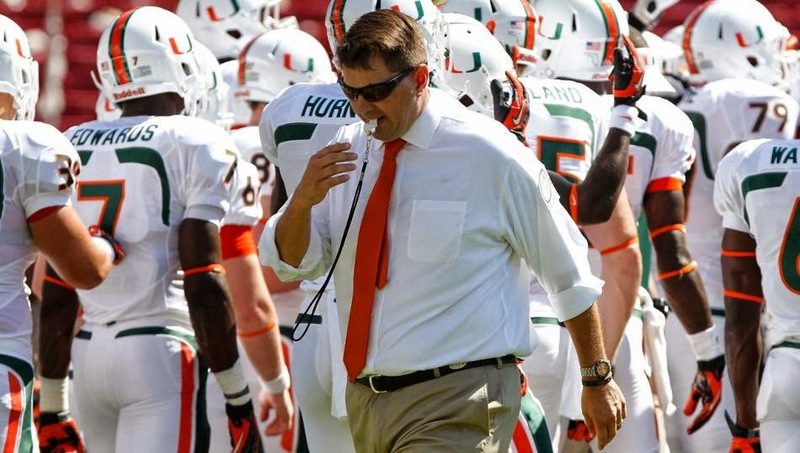 Miami was just punished for its involvement in a college sports scandal. What exactly did the school do wrong? According to a 102-page report issued by the NCAA, Miami failed to exercise institutional control over its football and men's basketball programs. The school didn't stop athletic booster Nevin Shapiro from hosting parties for players at his house, on his yacht and at bowling alleys and strip clubs; from buying players and their families meals; from giving players cash, airline tickets and hotel accommodations; and from buying clothes and Christmas gifts for players' children. Wait -- Christmas gifts for kids don't sound so bad. Come to think of it, neither do parties at strip clubs. Are those things suddenly illegal? Am I going to be arrested if I buy my nephew a PlayStation 4 for the holidays, or my buddy a lap dance for, um, the holidays? The problem is that Shapiro's generosity is against NCAA rules. Amateurism is the hallowed principle that everyone involved in college athletics should be allowed profit from his or her involvement, except for the actual athletes. But don't athletes receive college scholarships with actual, financial value, in exchange for playing sports? They do, and the NCAA and its self-serving toadies and rentier-class incumbents high-minded defenders will never pass up an opportunity to remind you of that. And that kind of quid pro quo arrangement isn't against amateurism rules? So it's OK for college athletes to receive payments, unless it isn't? Sounds like amateurism is whatever the NCAA and its member schools say it is. Regarding "institutional control," did the NCAA expect Miami to control Shapiro, a shady character who currently is incarcerated for running a Ponzi scheme? No. It simply expected Miami to control Shapiro's money. Case in point: between 2001 and 2008, Shapiro gave the school's athletic department $500,000. That was encouraged. The school put Shapiro's name on an athlete lounge. Does the NCAA object to putting corporate names on bowl games? What else did the NCAA have a problem with? Former Miami football assistant coach Clint Hurtt asked Shapiro to pay for the meals of several recruiting prospects at an Italian restaurant; invited prospects to Shapiro's home to eat and play games with current Miami players; provided meals, lodging and a car ride to prospects making unofficial campus visits; told a prospect to call him on an unregistered "Batman phone" to arrange campus visits; once allowed prospects to spend the night at his house after a relative couldn't drive them home; and made those same prospects -- the horror … the horror … -- breakfast. Again: Food, lodging, rides, unregistered cellular communications and presumed waffle preparation are bad, but letting hungry athletes walk home at night is good? Yes. Oh, and the NCAA also was unhappy that Hurtt asked for and received a $2,500 loan from Shapiro that he later repaid -- a loan that violated NCAA rules, which prohibit outside sources from supplementing athletic department salaries. Got it. Do those same rules prohibit outside shoe companies and television networks handing over millions of dollars in exchange for seven-days-a-week programming and the right to turn college athletes into walking corporate billboards -- money that clearly supplements athletic department salaries? Is Hurtt the only former Miami coach involved in the scandal? Uh-uh. The NCAA report states that after Shapiro demanded money from former basketball coach Frank Haith in exchange for keeping quiet about incriminating information, Haith and one of his assistants arranged for Shapiro to receive $10,000. Oh, wow. Extortion. An actual crime! I bet the NCAA threw the book at Shapiro for blackmailing Haith! Actually, the association suspended Haith -- now coaching at Missouri -- for the first five games of the upcoming college basketball season. Oops. What kind of punishment did Miami receive? The NCAA ordered the school's football and basketball teams to award a total of 12 fewer scholarships over the next three years. Wait. Doesn't reducing scholarships simply reduce educational opportunities for potential college athletes who otherwise might not be able to attend school? Why would the same NCAA that makes commercials like this do such a thing? Because that's what the NCAA does -- or, as their Committee on Infractions chairman Britton Banowsky said during a teleconference on the Miami sanctions, "the membership passed the legislation that suggests what appropriate penalties are." Cutting scholarships doesn't sound very pro-education. Hey, take that up with your state legislature. Or Congress. Or better yet, the Internal Revenue Service. Because a self-proclaimed educational mission is largely what allows the NCAA to pay its executives six- and seven-figure salaries and rake in hundreds of millions of tax-exempt television dollars annually, while avoiding almost all taxes as a non-profit. In court filings in the Ed O'Bannon antitrust case, an expert witness for the NCAA asserted that amateurism does not qualify as price-fixing because most college athletes have very little value to universities -- essentially, an economist's version of the Jay Paterno these guys are getting a great deal already! argument. If really that's the case, then why does the NCAA act as though taking scholarships away from Miami qualifies as punishment? Wouldn't it actually qualify as a benefit, since it keeps the school from supposedly overpaying for athletes? The NCAA's decision and report came nearly four years after Miami first notified the association of possible rules violations. Mitt Romney spent less time running for president. Lane Kiffin spent less time becoming persona non grata in Tennessee and Los Angeles. Why the investigatory hold up? The association needed extra time to investigate its investigation. * The NCAA suspended its investigation and commissioned an outside probe after it emerged investigators had paid [Shapiro's attorney] to illegally obtain evidence. * That probe found that investigators had gone against very specific legal advice not to put the attorney on the payroll. Three high-ranking investigators were fired or forced out because of their actions. * Even after one investigator was fired for it, his replacement continued to use the same scheme, paying Shapiro's attorney to obtain the deposition of Shapiro's bodyguard in a completely unrelated bankruptcy case. * One investigator purchased a burner phone, then sent Shapiro $4,500 to use the prison telephone system (which doesn't cost $4,500), so they could communicate. He expensed all of this to the NCAA. * That investigator has been sued for defamation multiple times, and one Miami player filed a police report citing witness intimidation. * The NCAA wrote a letter to a Florida judge before Shapiro's sentencing, asking that the court go easy on him so the NCAA could continue to use him as an informant. It promised that Shapiro would not be idle upon his release from prison-he could be "a consultant and/or speaker to educate our membership." So basically, the NCAA was trying to pay Shapiro to snitch. Did the association sanction itself for breaking its own rules? NCAA president Mark Emmert called his organization's ethical missteps "shocking." If Emmert was shocked, and he's steering the ship, then wouldn't that qualify as a failure by the association to exercise institutional control? Logically speaking? Of course. On the other hand, we're talking about the NCAA. So the association didn't punish itself? No. In fairness, nobody at the NCAA made Shapiro breakfast -- and it's not as though Emmert has a scholarship that can be taken away. Miami must be furious about all of this. Not as furious as the University of Southern California. Because the school has a math department. Two years ago, Southern Cal's football program received harsher NCAA sanctions for violating fewer association rules: 30 scholarship reductions, a two-year bowl ban, four years of probation and a limit of signing only 15 new recruits per year for three years, 10 under the standard annual limit. Wow. Is there any way that Miami had it worse than USC? Sure! Under the NCAA's ruling, any Miami staff member across all sports who sends an impermissible text to a prospect will be fined a minimum of $100 per message, and coaches involved will be suspended from recruiting activities for seven days. A text tax. Hmmm. Serious question: Does NCAA jurisprudence require picking penalties out of a hat? Serious answer: You're lucky that inanimate objects can't sue for defamation of character. At the very least, is it fair to say that college sports justice seems inconsistent? Don't forget arbitrary and capricious. Just like amateurism -- which doesn't exist anywhere else, mostly because of properly enforced antitrust laws, but also because the rest of the world has the good sense to not criminalize basic economic behavior. Dump amateurism, and nothing about the Miami scandal is an actual scandal -- well, except Shapiro's gifts. Those should be taxed. I already mentioned the IRS, right? … because by enforcing its own unfair, unsustainable system of institutional economic control in feeble and inept fashion, the NCAA is inching closer to doing the right thing. In spite of itself.